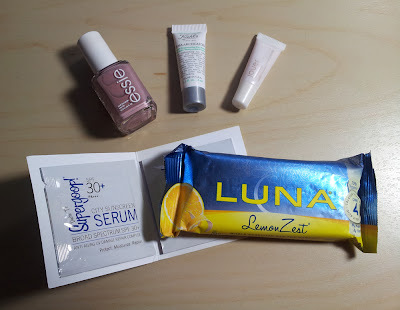 I'm so excited to show you what I got in my Birchbox this month! It's a collaboration between Birchbox and goop.com. Everything in the box I know I'll use. Here's what's in the box: A full-sized (!!) Essie nail polish in Lady Like, Jouer lip enhancer conditioning lip treatment (0.07 fl. oz. 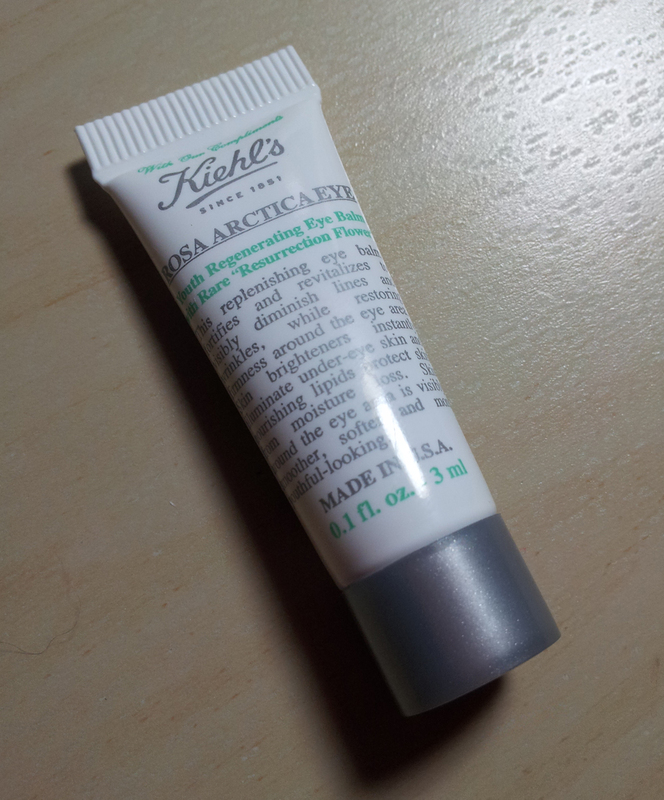 ), Kiehl's Rosa Arctica Eye Balm (0.1 fl. oz. ), and Supergoop! City Sunscreen Serum x2. 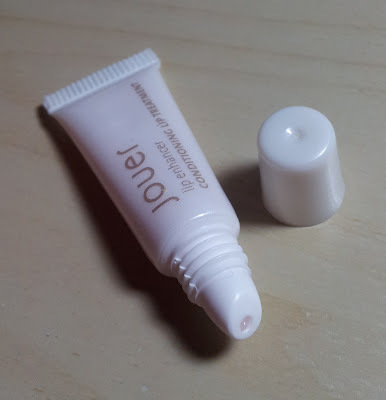 Next up is Jouer lip enhancer conditioning lip treatment. It is odorless, which I like, and applies like a lip balm. Non-sticky. Leaves my lips very soft. Love it! Then we have the Kiehl's eye balm. Also odorless. 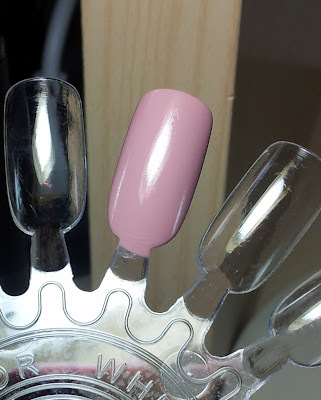 They are right to call it a balm because it applies like an ointment - slightly thicker in texture. It says it brightens and reduces look of fine lines around the eyes. I'm not sure if it does that, but it definitely doesn't leave the skin looking oily. Just don't use too much or it will be sticky. The box also came with 2 small samples of Supergoop! 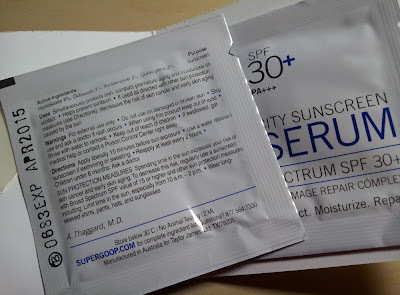 city sunscreen serum. Even though summer has come and gone it's still important to put on sunscreen when you're going on. This one is SPF 30+ PA+++, and since it's a serum, it is light and perfect for the face. As an extra, they included a Lemon Zest Luna bar. I'm excited to snack on this at work tomorrow. The ingredients look decent - 9g protein and 3g fiber... a bit high on the sugar content (13g), 180 calories. Sounds like a good mix.